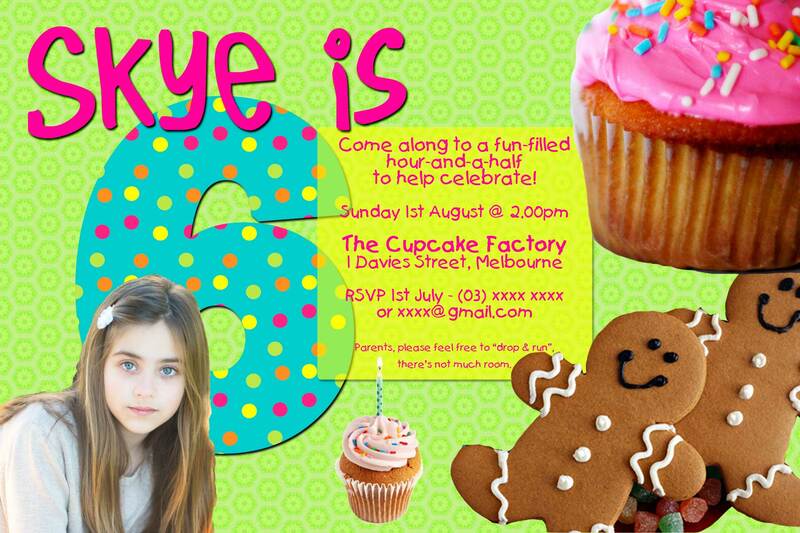 Cupcake-themed Birthday Party invitation card with a photo in the shape of a number. 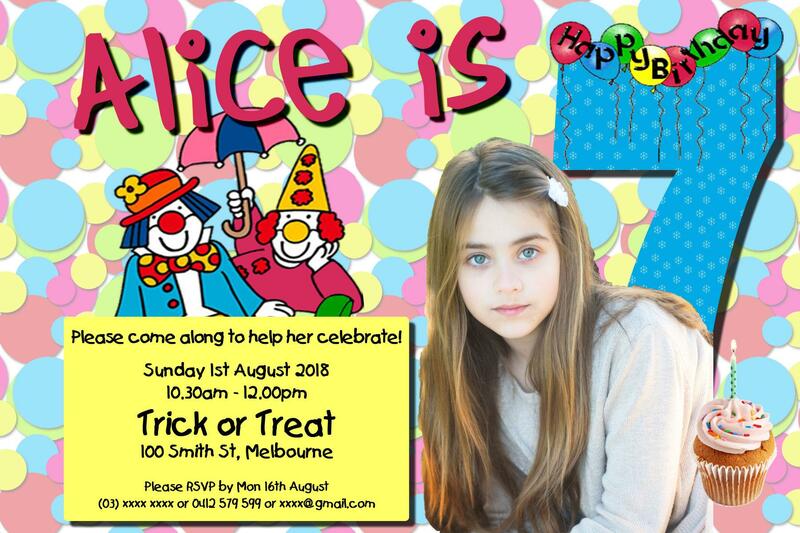 Your choice of words and age number. 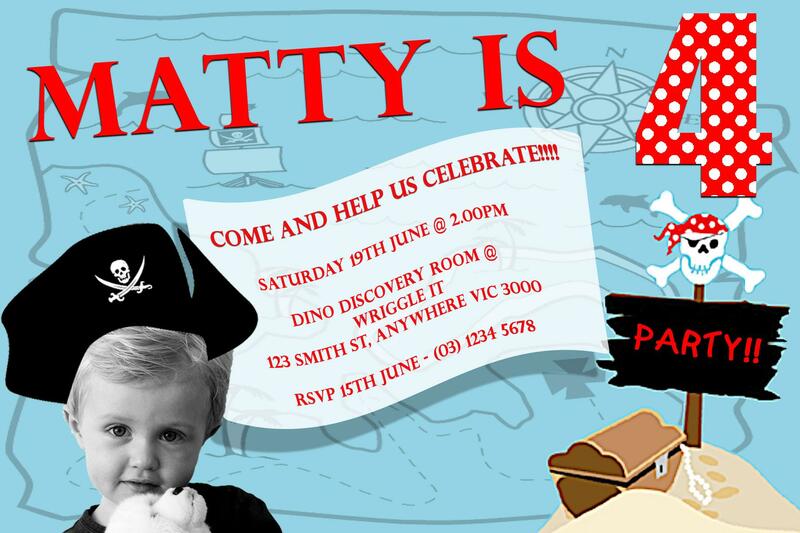 Pirate-themed Birthday Party invitation card with a customised photo. Your choice of words and age number. 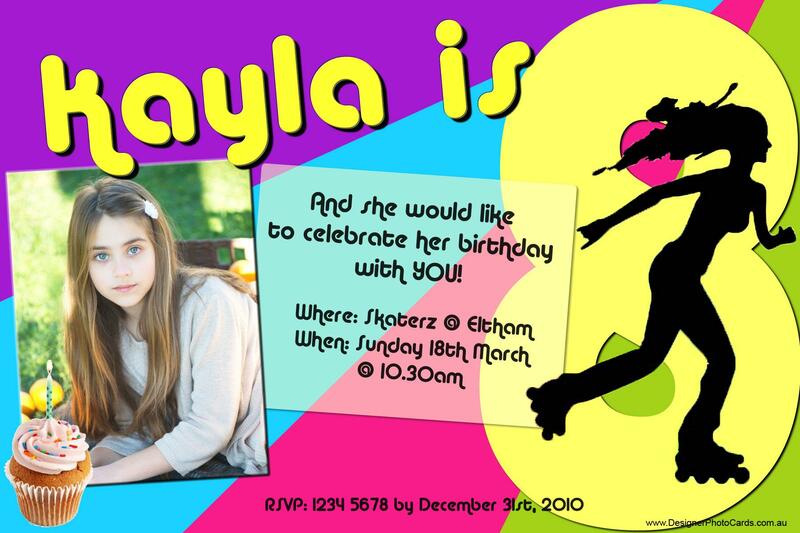 Skater-themed Birthday Party invitation card with a photo and your choice of words and age number. 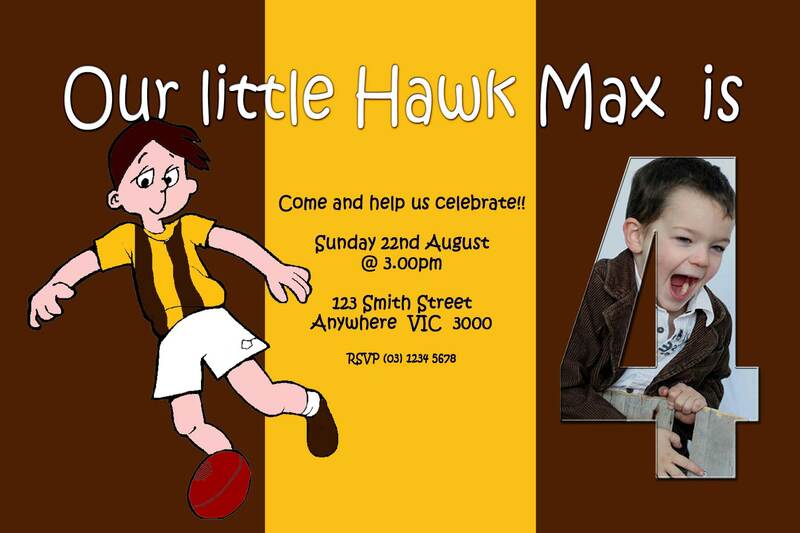 Footy-themed Party invitation card with a photo in the shape of a number. Your choice of team, words and age number. 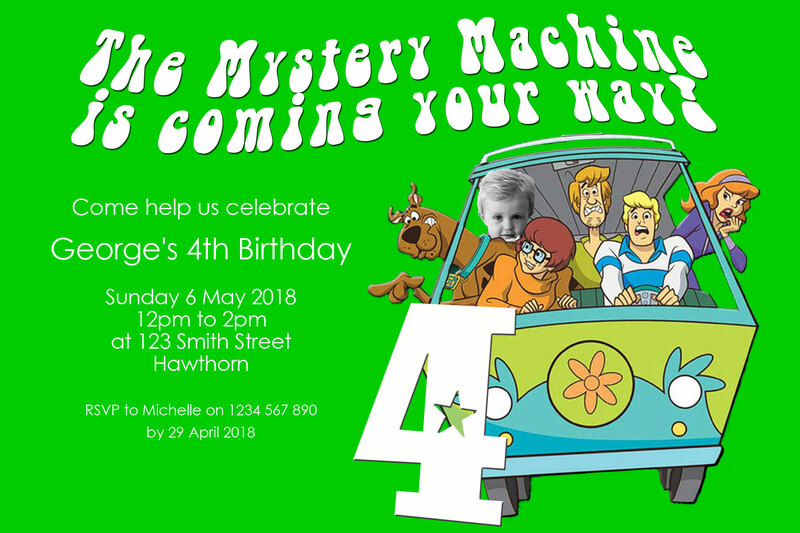 Scooby-themed Birthday Party invitation card. 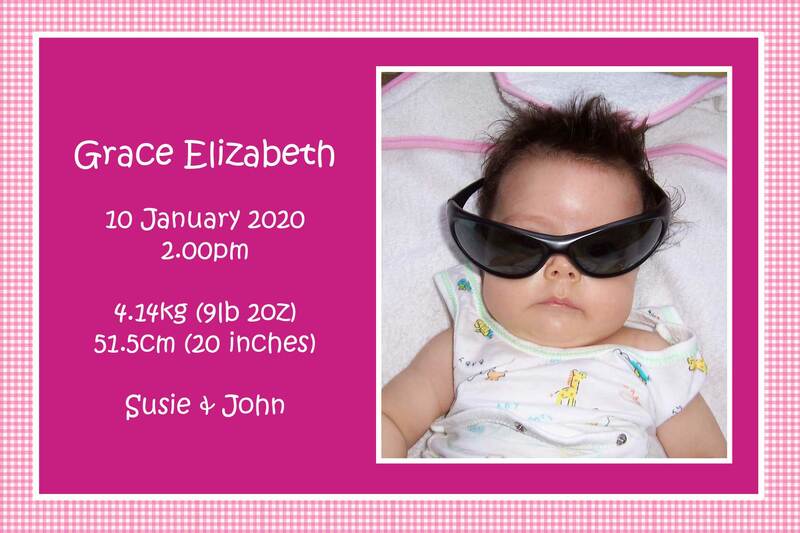 Your choice of words and age number. 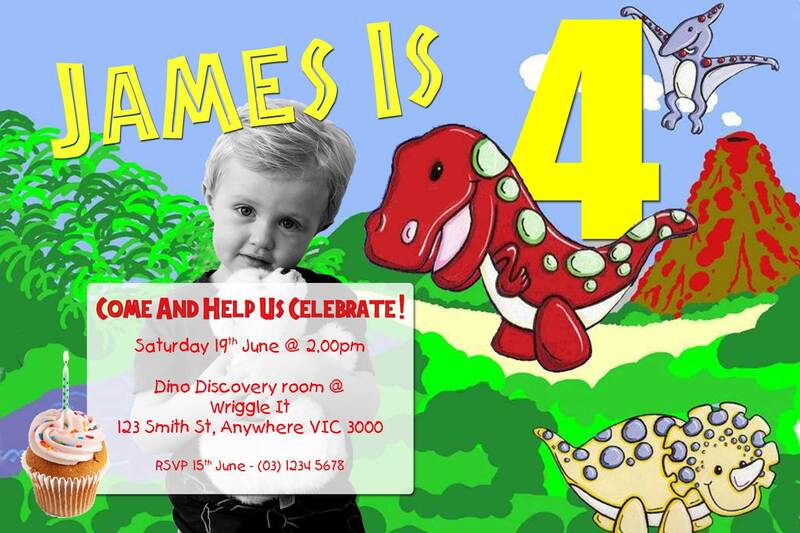 Dinosaur-themed Birthday Party invitation card with a photo in the shape of a number. 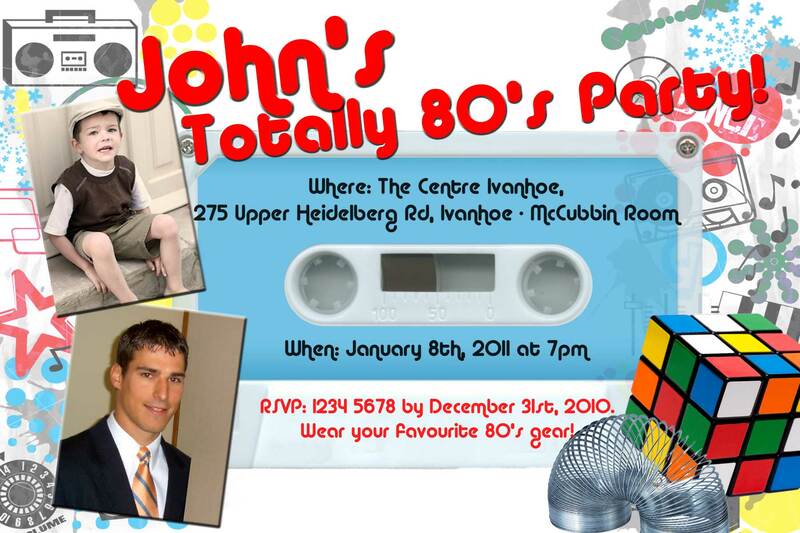 Your choice of words and age number. 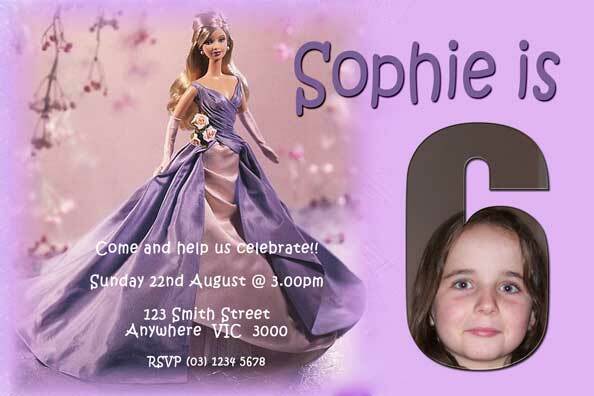 Pretty Doll Birthday Party invitation card with a photo in the shape of a number. 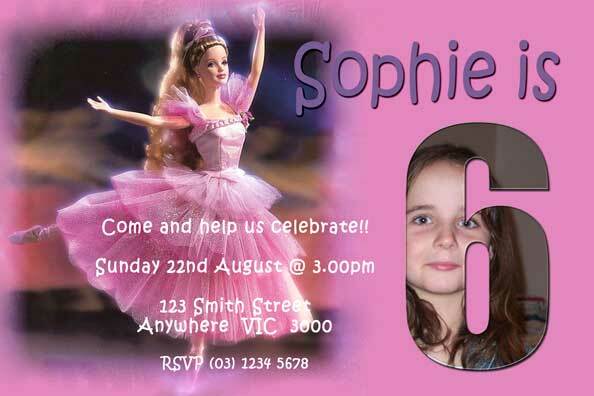 Your choice of words and age number.